The first impression of Omar Mwalim is of a tall, friendly and energetic man. The next is of a man who is absorbed in his work. We meet at his office in Mwanakwerekwe about 15 minutes’ drive from Zanzibar’s capital, Stone Town. KARIBU and a big warm smile is the standard greeting in Zanzibar and Omar Mwalim’s is no exception. “KARIBU”, he says, oozing an all-embracing friendliness as he offers me a cup of spicy tea. But when he starts talking about his work, his attention focuses and his concentration sharpens. 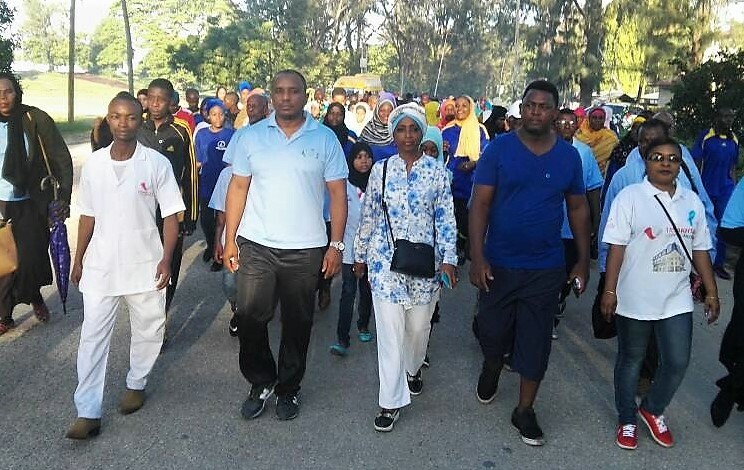 Omar Mwalim leads Zanzibar’s efforts to combat the world’s number one killer, the non-communicable diseases (NCDs), at Zanzibar’s Ministry of Health. NCDs include cancer, hypertension, diabetes, and pulmonary and cardiovascular diseases. These are all chronic non-infectious and non-transmittable illnesses that progress slowly. NCDs are popularly known as “lifestyle diseases” because they are commonly believed to be preventable, if you lead a healthy lifestyle. Omar Mwalim lists the raw figures for NCDs in Zanzibar. A recent study indicates that the number of diabetes and obesity cases in Zanzibar have risen from 3.7% and 17% respectively in 2011 to 7% and 23% today. The numbers for high blood pressure (33%), smoking (7.3%) and alcohol (1.7%) are about the same as in 2011. "Non-communicable diseases are silent killers in Zanzibar as elsewhere. It is paramount that we raise awareness about NCDs and related risk factors, conduct screenings and make services available for people, if we want to save lives, he says. Omar Mwalim has been the manager of the NCD unit since it was established in 2012, but his engagement in disease prevention goes back much further. In fact, his interest started when he was a child. Omar Mwalim and the other children in the family used to love spending time with their grandfather listening to his stories. His grandfather had been one of the first health inspectors in Zanzibar. He would tell his grandchildren how he and his colleagues had prevented whole communities from falling ill by introducing simple methods to raise the level of cleanliness and by creating awareness about the importance of hygiene. Like many of his contemporaries, Omar Mwalim dreamt about becoming a medical doctor but he also thought that the kind of job his grandfather described sounded just as important. "My grandfather’s stories fascinated me. When the time came, I decided to follow his example", Omar Mwalim says. 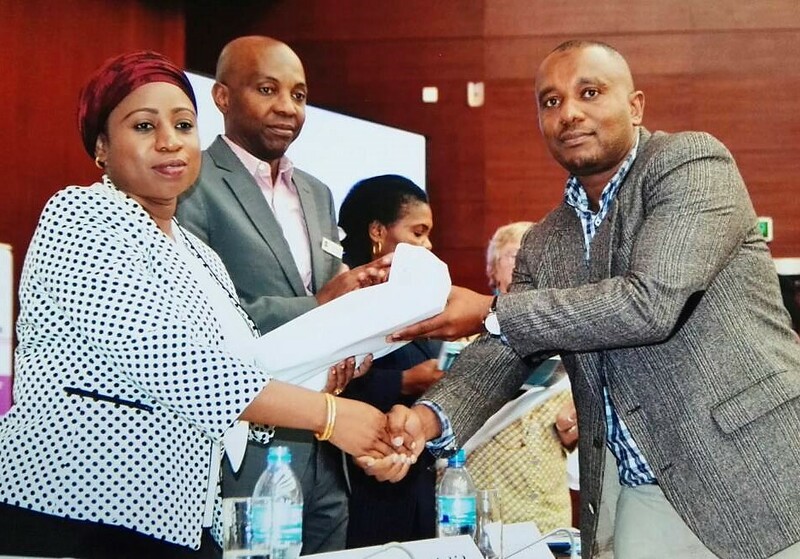 Omar Mwalim took a diploma in environmental health and was employed as the surveillance officer with Zanzibar’s Expanded Programme on Immunization (EPI) in 20025. Later in 2015, he became the EPI’s national data manager. "Without knowing it then, this position became the entry point to my longstanding collaboration with the Danes", he says. 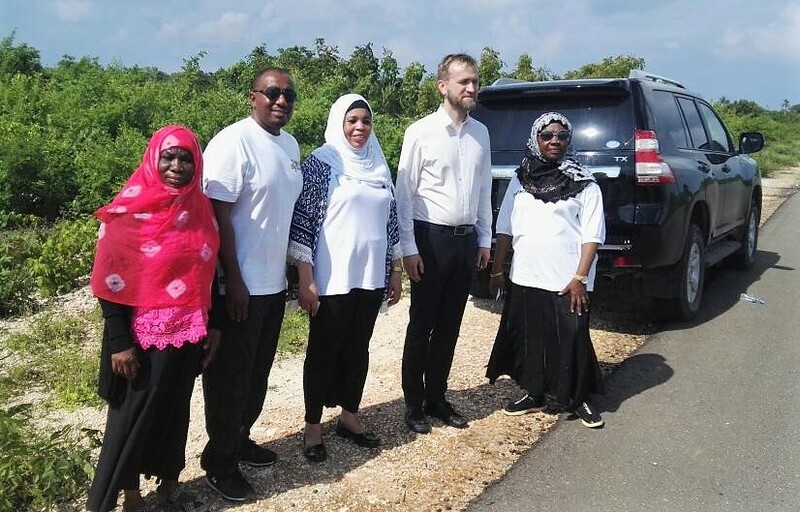 Shortly after he started the new position, a measles epidemic broke out in Zanzibar and Omar Mwalim was invited to a donor collaboration meeting with a number of international partners including DANIDA. His role was to present a data-based overview of the epidemic. Omar Mwalim recalls how he - fresh from the data management training - confidently played around with the maps showing the numbers and locations of the measles cases. He was pleased when the Danida representative Dr Bou Peters, Senior Health Adviser thanked him for a solid presentation. They stayed in touch. One day Dr Bou Peters Baopeters gave him a leaflet about the Master of International Health programme that Copenhagen University offered between 1998 and 2013. Dr Bou Baopeters advised him to consider it. "I was so excited; I wanted to say YES, immediately. 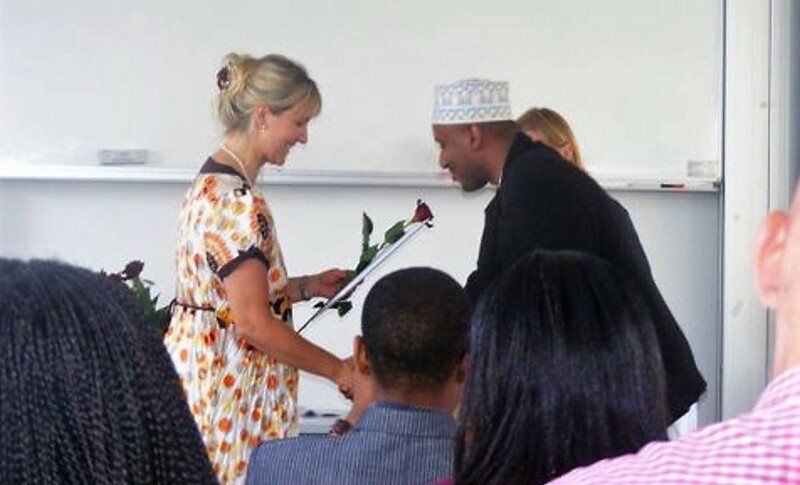 I was sure that the Master’s programme matched my ambitions and craving for learning, but I wanted to appear composed, so I just thanked him and took the leaflet", says Omar Mwalim. "The following day, the first thing in the morning I went straight to his office and said I would really like to enroll as a Master’s student." The experience in Denmark was an eye-opener and the classes in international health in particular made a deep impression. "I realized I had much to learn. I had only worked with immunization. Now I got to know about entire health systems in low- and middle-income countries, health economy and statistics, anthropology and everything else concerning health issues", he says. He craved new knowledge, so after the classes he would stay on to search the Internet for more information on the subjects that had been covered during class. 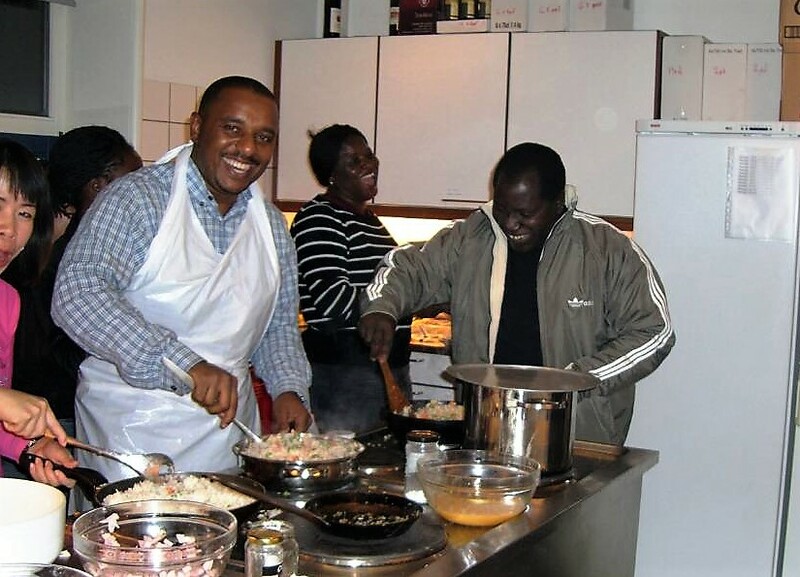 In addition to the knowledge he gained, Omar Mwalim created a professional network of good friends and colleagues with whom he still keeps in very close contact. By the time he left Denmark in 2009 with a Master’s degree, he knew that he had to move on from his current job to widen his horizons even further. He became the External Health Coordinator for the Ministry of Health in Zanzibar and Personal Assistant to the Minister. 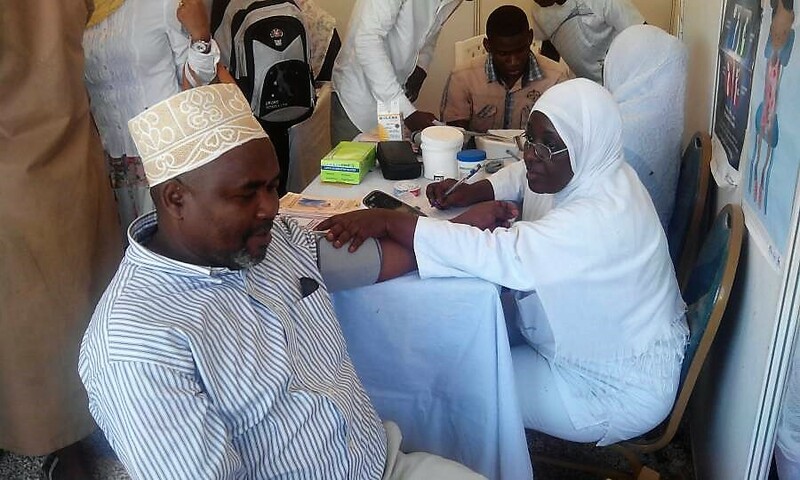 He also took part in a STEPS survey mission to create a general picture of the non-communicable diseases in Zanzibar. For the second time the Danish connection became the point of entry for his next career move. The STEPS survey was carried out in 2011 in collaboration with the World Diabetes Foundation, an independent trust founded by the Danish pharmaceutical giant Novo Nordisk. It showed that an intensive intervention was required. Already the following year, the NCD unit was established and Omar Mwalim was hired as its manager to coordinate and spearhead the intervention. "I am happy to be the first manager of the Non-Communicable Diseases Unit and even though we still have a long way to go we have achieved quite a lot during my time here", he says. Assisted by the World Diabetes Foundation, the NCD unit has provided facilities and equipment for 50 clinics and has trained staff to screen for and diagnose NCDs. It has also developed guidelines and rolled out ongoing awareness raising campaign. The unit also offers care for children diagnosed with diabetes through Novo Nordisk’s Changing Diabetes programme. This includes patient education and the provision of insulin and blood glucose monitoring equipment. Omar Mwalim has also been involved in starting the Building Stronger University Programme in Zanzibar. Building Stronger Universities is a capacity building collaborative programme connecting Danish universities and universities in Ghana, Uganda and Tanzania. In Zanzibar, the programme is being rolled out at the State University of Zanzibar. The programme is now in its third phase. Omar Mwalim coordinated the activities of the first phase from 2011 – 2013 on behalf of the Ministry of Health. One of the key results of Building Stronger Universities so far is the curriculum development and accreditation of the very first Environmental Health Bachelor Degree programme, a much needed programme that had been called for by employers and students alike. "We are proud that the first batch of students graduated here in the beginning of 2018 and that their job prospects are very promising", Omar Mwalim says. The coordination of Building Stronger Universities no longer rests with the Ministry of Health but is entirely coordinated by the universities involved. Nevertheless Omar Mwalim is involved in creating a new health curriculum. "We are designing a cross cutting component in NCDs to raise the level of knowledge among medical personnel about how to prevent the illnesses. It will be included in a range of different health education programmes, for example for nurses and clinical officers, and hopefully it will also be included in the environmental health programme", Omar Mwalim explains. By now, the teacups are empty. About an hour has passed in great company. "Who knows what the future will bring", and his face lights up in a big smile. "One thing is certain, I’ll never give up on my Danish contacts. They will always be there for they are so much a part of both my professional and personal achievements", he says. “We ought to mobilize homemade African science to inform long term, sustainable solutions to African problems”, says the internationally recognized scientist and Danida alumni, Cheikh Mbow. Two years ago, he became Executive Director of the Washington, D.C. based organisation START International.